Are you looking for a simple and effective facial treatment that can give your skin an instant glow? You may want to consider dermaplaning. 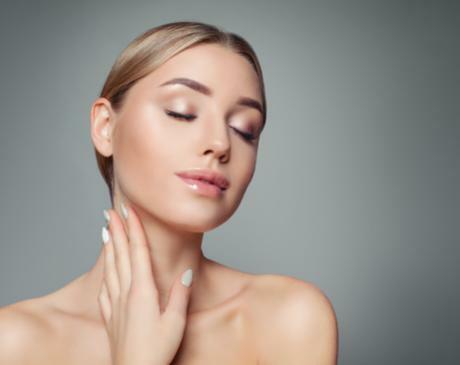 The skin care experts at Treuvís Eyes Nails Body Laser Spa in Clinton Township, Michigan, offer dermaplaning to help improve the look and health of your skin. Call the office today or book a consultation with a facial expert online. Dermaplaning is an effective and safe exfoliation procedure that uses a sterile surgical scalpel to shave the surface of the skin to remove excess dead skin and peach fuzz hairs. The tool is held at a 45-degree angle and is brushed along the skin to remove the hair and skin cells. Dermaplaning is a stand-alone procedure for the facial area only. After treatment, your face is immediately silky smooth with a significant reduction in the appearance of acne scars. You may also notice an improvement in the effectiveness of your at-home skin care treatments after dermaplaning. The procedure generally removes between two to three weeks of dead skin cells from the facial area. Your specialist at Treuvís Eyes Nails Body Laser Spa can determine if dermaplaning is a good choice for you. While the facial is considered safe for most skin types, you may not be considered a good candidate if you have severe acne or excessive oil production. By removing your facial hair, dermaplaning may increase your risk of a bacterial infection that leads to a breakout. You may experience slight peeling if there is not enough time between treatments to allow for a new hair growth cycle to complete. There's no need to worry about your hair getting darker; the hair will grow back the same color and size. To schedule your dermaplaning at Treuvís Eyes Nails Body Laser Spa, call today or book online.